Do you like Bonk.io? Share it with your friends. 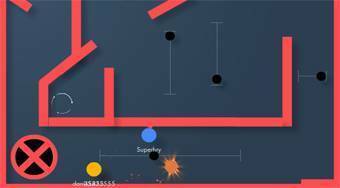 Bonk.io is another excellent multiplayer game from the popular .io games series. In this game, it will be your task to move your ball across the playing field and try to push the balls of other players from all over the world outside the playing area. Increase your weight and make it easier for you to push the balls off your opponents.